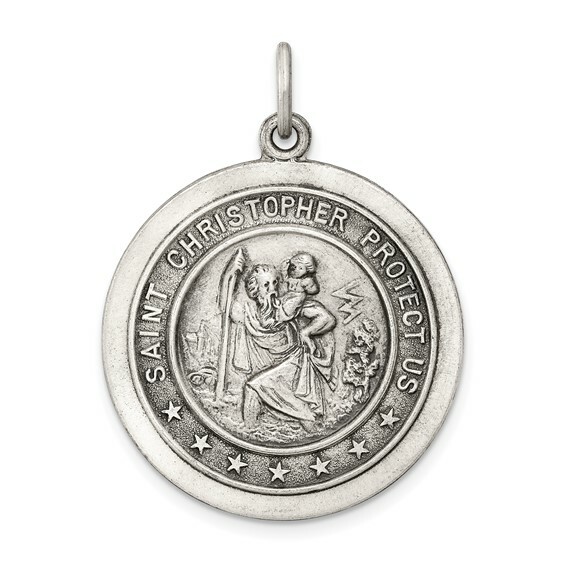 This round St Christopher medal is made of antiqued solid sterling silver. Diameter: 1in. This item is the size of a quarter. Chain not included. Weight: 4.67 grams. Made in the USA. Engravable on the back. I was pleased with the quick delivery and the product.